This dress is a real all-rounder. Its playful yet feminine shape is so easy to wear it will soon become your new favorite purchase. The unique boat neck collar and the delicate hand stitched details make this dress a real statement. 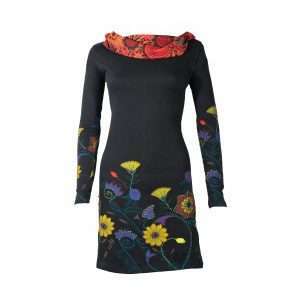 Cool and easy to wear, this is a great dress for all occasions. Oh and don’t forget to check out the back! This dress has so many things we love! 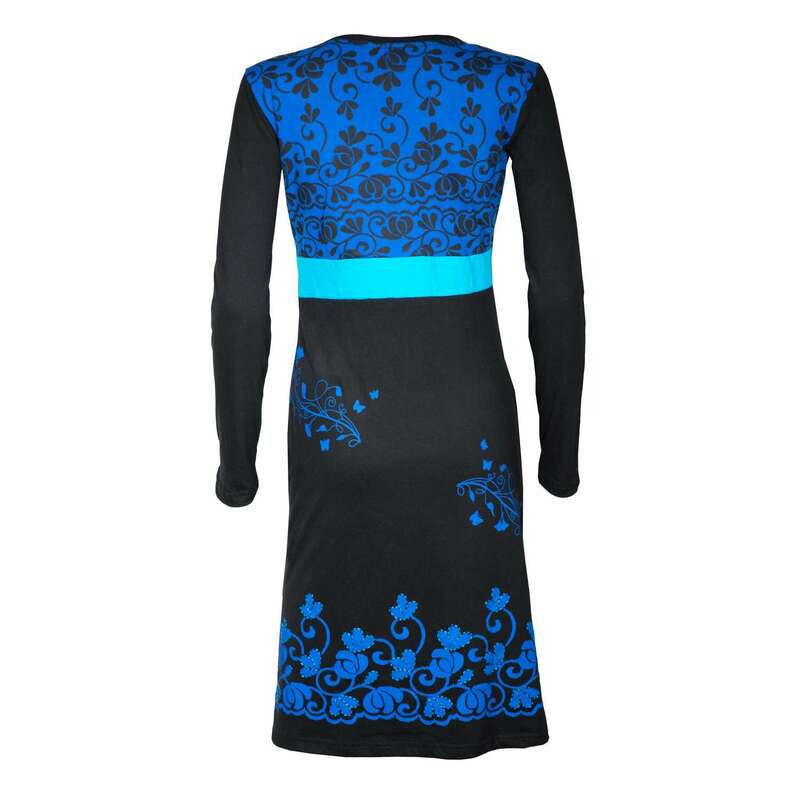 A perfect fusion of style and comfort, it features a mix of colourful patchwork prints, a feminine V-neck and playful asymmetric piping details that will make you look edgy and feminine at the same time. This dress does not disappoint! All our products are handmade. Therefore there can be a slight difference in the use of prints. This makes every dress even more unique! A breath of fresh air. 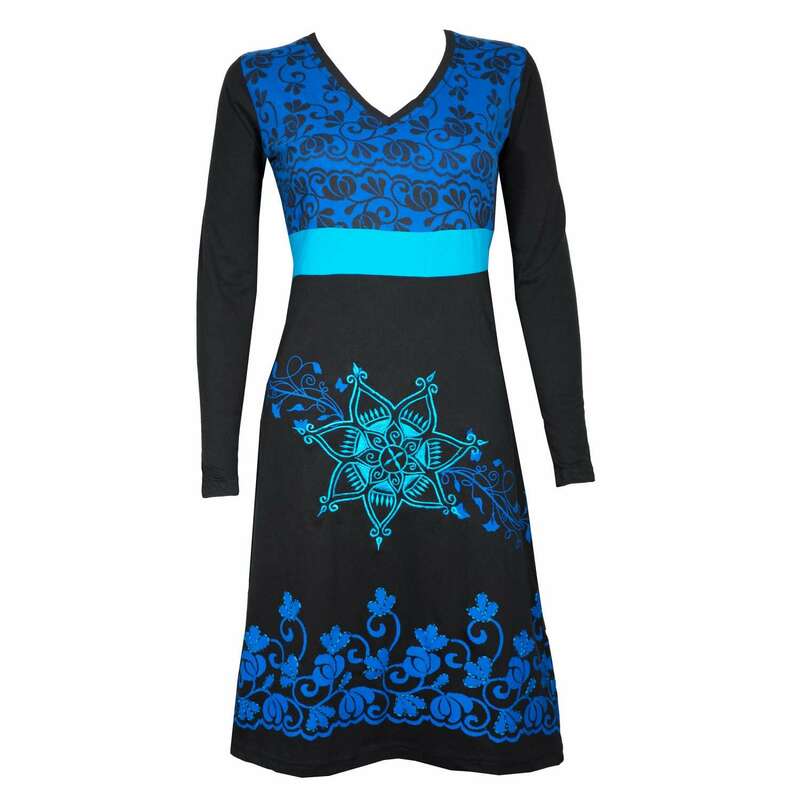 This comfy and charming dress combines an ultra feminine fit, asymmetry and a unique embroidered mandala print. It is sure to be one of your all-time favorites this season! * Fit note: This dress runs a bit small.